Eeeeeee Vee! 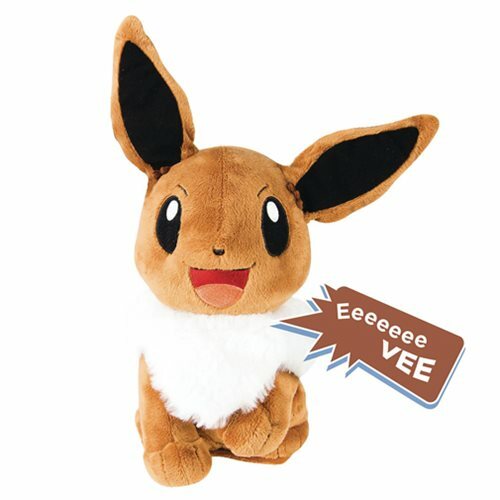 Eevee is arguably the cutest Pokémon in the franchise, and this adorable Pokemon My Friend Eevee Plush does the little rascal justice! Add a soft touch to your gaming setup with this plush toy, and hug My Friend Eevee to make its ears move and activate cute sounds! It features three modes with a total of 10 sounds and phrases. Requires 2x "AA" batteries, included. Ages 3 and up.